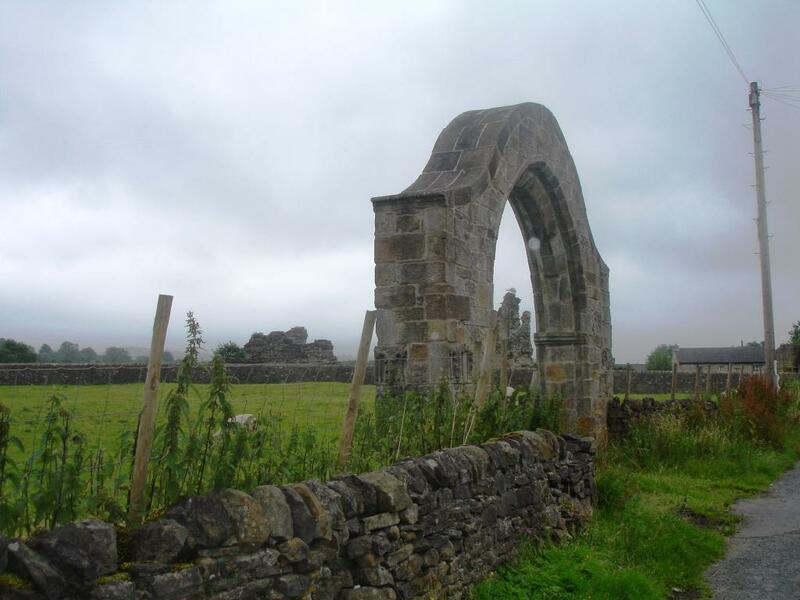 In 1848, Earl de Grey, owner of Sawley Abbey near Bolton-by-Bowland, carried out excavations and had masonry from the Abbey erected as two arches, which spanned the road at Sawley. One arch was damaged by a lorry in 1952 and both arches were dismantled in 1961. An arch was then erected by George Braithwaite for an entrance to one of his fields.